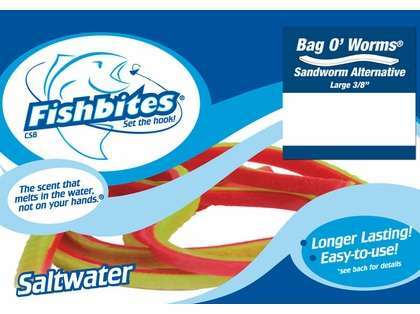 Fishbites 0113 Long Lasting Sandworm Bag O' Worms 2Pk feature a sandworm scent that is long lasting. 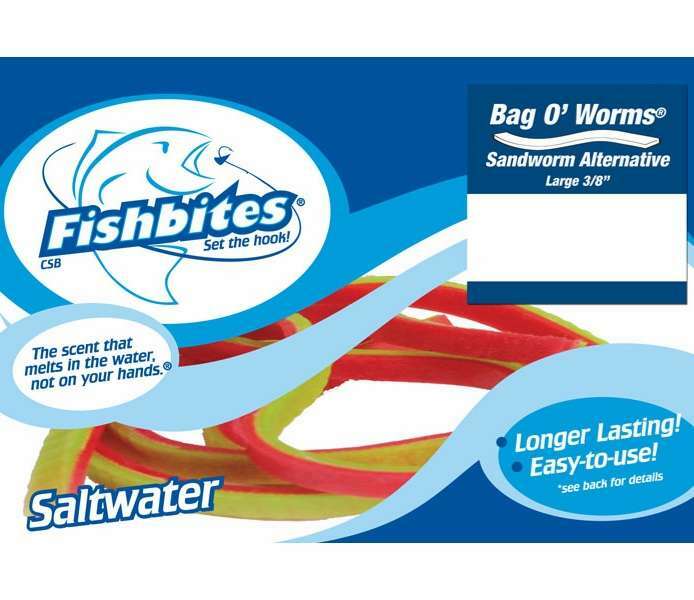 This bait is ideal for introducing new anglers to the sport. I took the Fishbites 0113 Long Lasting Sandworm Bag O' Worms 2Pk Red/Green with me on vacation to Punta Cana, Dominican Republic. These fishbites worked the best as compared to the fishbites Shrimp. I will definitely purchase these fishbites again.